The recent Sideshow Jango Fett 1/6th scale figure has been such a long-awaited release. The preorder period was over 12 months, and it wasn't clear if more delays were imminent. But it has released, and to be honest, I am more disappointed than excited about the figure. For my full video review going over why I feel this way, click through on the Kool Kollectibles YouTube channel review below. Straight out of the shipper I had bad vibes, with the inner clam shell inserted the wrong way in the artbox! I have no idea what the factory workers were doing that day, but someone in Sideshow's quality control department really needs to check and audit what the hell they're doing over there! But once everything is out of the box, it does come with an impressive array of accessories. And this is the dilemma I'm in - lots of accessories are nice, but if the core figure and main components are sub-standard, then no amount accessories will fix that. There are a number of smaller issues that I go through in my video review, such as the delicate plastic, armour pieces that come off etc. But the three biggest issues for me that really should have defined the figure are the head sculpt itself, the manner in which it is swapped out with the helmet, and the chest armour. Sideshow has never had facial paint apps to the same high standard as Hot Toys. 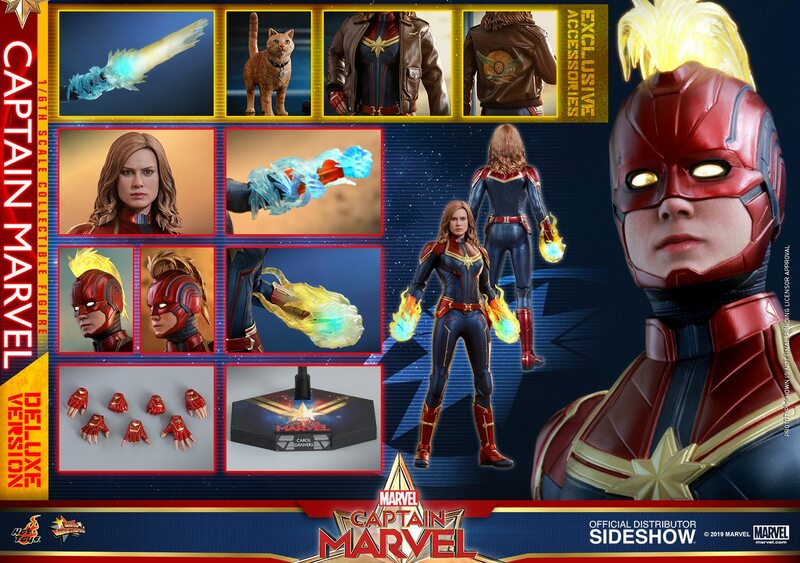 But when their prices increased to the same, and sometimes exceeded, the level of Hot Toys figure prices, that's when the quality must absolutely match Hot Toys. With high profile figures such as Jango and Pilot Luke that come with high prices and human head sculpts, the expectation is that the sculpt and paint app have the same wow factor as Hot Toys. Unfortunately again, the Sideshow paint application essentially ruins a perfectly good sculpt! The facial paint app is far too dark - yes, I realise Temuera Morrison has a Maori background, but despite that the skin tone on the figure is still too dark. Not only that, it lacks all the realistic skin texture and detail that is now standard by Hot Toys. It is flat and in many ways just looks plasticky. It's been a consistent problem for Sideshow for so long, and they do not seem to have any idea on how to fix it during their factory production. The other huge frustration is swapping out the head sculpt with the helmet. The whole process of taking out the neck joint etc was bordering on me just wanting to throw the figure in the damn bin!! It is so hard to do, and runs the risk of breaking the figure, it's probably not even worth doing considering the head sculpt paint app itself is pretty poor. The other main issue is the manner in which the chest armour has been glued onto the suit. There have been so many cases, mine included, that the armour pieces just do not look aligned or centred. It just seems like some lazy arse factory worker just glued them on in sort of the right orientation, and didn't care if things actually looked decent! To make matters worse, Sideshow's response to some customers asking for replacements was that all the figures have some sort of alignment issue with the chest due to factory production, and a replacement won't be guaranteed to be any better! To me that sort of response is pretty poor, and Sideshow really need to rethink their factory and the quality control over there. All in all, I wanted the Jango figure to complete a group of 10 figures of the current Clone Commanders and their father figure. It's such a shame that a figure we waited so long for just seemed to be rushed out the door at the end. After releasing a great figure in the Scout Trooper, it's so disappointing to get such a lacklustre Jano Fett. Sure after it's posed up it look OK on display, but it's all the little defects and issues that really sour my feeling towards the figure. I'm not a big fan of the prequels, but I love the Clone Trooper figures. But this Jango Fett is perhaps the first Sideshow figure that I regret buying.